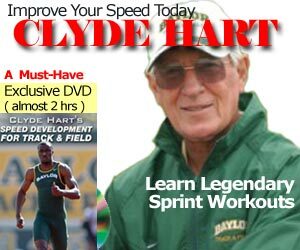 How Long Does it Take to be a World Class Sprinter? I define “World Class” as being selected to your National Team, and representing your country at the Olympics or World Championships. I won’t get into the tourist debate of making top 16 or top 8 or even “owning the podium”. My rough guestimate has always been about 8 years of deliberate practice (or DP), or committed sprint training, hence my 4 year annual plan macrocycle. But I started very late… I only started training seriously for triple jump in my 3rd year of University with Dennis Barrett at McGill, and I trained 8 years (actually 9 years with 1 sabbatical) and the best I could do was muster a 5th place at the 1992 Canadian Nationals in the 400m. No berth on any team, except for the self-funded return flight home. But what about those who trained seriously for track in high school? If you have time, read You can’t teach speed: sprinters falsify the deliberate practice model of expertise by Michael P. Lombardo and Robert O. Deaner. To summarize, exceptional speed prior to formal training is a prerequisite for becoming a world-class sprinter, researchers have found. The authors noted that because speed is crucial for many sports, the new results imply that talent is important for many sports besides track and field. The authors also pointed out that their behavioural data complement many genetic and physiological studies indicating individual variation in athletic talent. Sprinters are born, then made. 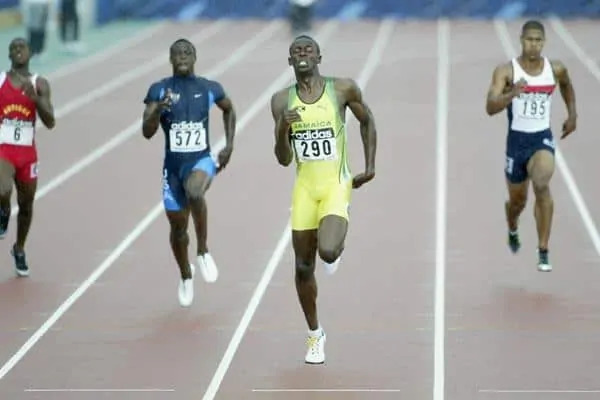 The study shows that the developmental histories of elite sprinters contradict the popular deliberate practice model of expertise. According to this model, there is no such thing as innate talent. Instead, 10 years of deliberate practice (otherwise known as the 10,000 hour rule) are necessary and sufficient for anyone to become an expert in any field, including sports. Sprinters are born, then made. As John Smith of HSI once said, “You can’t make a donkey win the Kentucky Derby”. You have to be born with the right genetics and socio-econominc background, followed by several years of structured training. Only them with a bit of luck and injury free years, drugs or no drugs, you will become a World Class athlete. Take a look at the table below and you can see how long it took various sprinters become world class. a-Defined as representing their country in international competitions (e.g., Olympic Games, World Championships). b-Awarded the gold medal because Ben Johnson was disqualified as winner for using performance enhancing drugs. c-Disqualified as winner for using performance enhancing drugs.